For our early childhood programs, our goals include promoting social skills such as communication and turn-taking, gross and fine motor skills, balance and coordination, and early independence skills. Through fun, interactive activities, our programs offer your child the opportunity to grow in a community-based setting. The skills they learn at this age will develop over the years into a positive, lifelong leisure lifestyle. All M-NASR programs are staffed based on the needs of the participants. A few of the programs for this area are listed below. For more information about M-NASR’s Early Childhood programs, please contact M-NASR at 847-966-5522 or see the current brochure. You are never too young to learn to swim. No matter the skill level of your child, our staff will work with him or her to develop abilities on an individual basis. Skills include water entry, floating, going underwater and stroke development. Our enthusiastic staff will be sure to get your child involved and excited about swimming. This essential skill will be a lifelong asset. 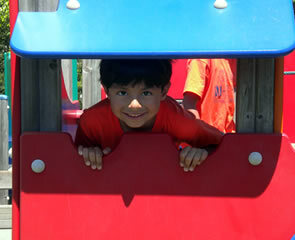 Please see our Summer Day Camp program section.